Kroll Bond Rating Agency (KBRA) looked to calm concerns that tax refunds and other possible turbulence would trigger significant disturbances within the auto asset backed securities market. Neither of KBRA’s indexes tracking at prime and non-prime ABS shifted substantially, as severe delinquencies remained relatively stable. 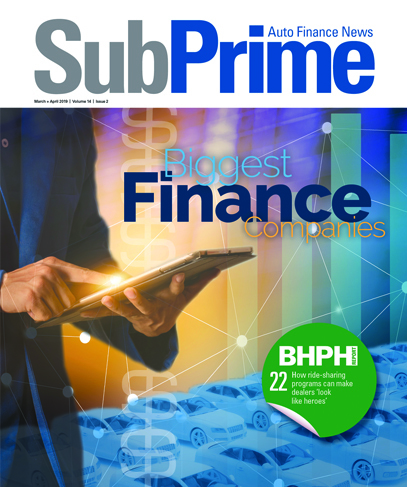 Securitized auto loan credit performance in March improved across virtually all the ABS shelves included in KBRA’s prime and nonprime auto-loan indices. According to its March report, annualized net losses in KBRA’s prime auto-loan index fell to 0.65%, down 4 basis points month-over-month and 11 basis points year-over-year. Meanwhile, analysts noted the number of borrowers 60 days or more delinquent in March came in at 0.44%, a decline of 5 basis points versus February and 7 basis points versus March of last year. KBRA’s non-prime auto loan index demonstrated similar trends in March on a sequential basis with annualized net loses and 60-day delinquencies falling 99 basis points and 48 basis points to 8.46% and 4.96%, respectively. On a year-over-year comparison, analysts said net losses dropped 52 basis points, while 60-day delinquencies were essential flat, ticking up just 2 basis points. “With average federal refunds down just $20 year-over-year through the end of March ($2,893 in 2018 versus $2,873 in 2019), concerns that lower tax refunds could meaningfully impact ABS collateral performance appears overblown,” said Brian Ford, who oversees structured finance research at KBRA. “We expect delinquency and loss rates will remain steady or continue to improve in April as borrowers continue to receive tax refunds, providing an additional source of cash flow to help them pay their auto loans,” Ford added in the latest report that’s available here.